On the third Tuesday of September, as on many 3rd Tuesdays of most months, MIT-Stanford Venture Lab (VLAB) hosted a panel on an emerging, disruptive technology. On the docket for the month of September—and fittingly nicely with back-to-school overtures at your favorite retail outlets—was titled “Education Technology Tsunami: Common Core Disrupts K-12”.The event focused on education technology opportunities and innovation (edtech) geared toward students in grades K-12 amid widespread adoption of Common Core standards.Now, in the off chance that the preceding sentence contained multiple words with which you are not used to seeing in the same sentence—you’ve come to the right place. This post is just the trampoline to provide both a soft landing and willing launch you deeper into this expansive field. 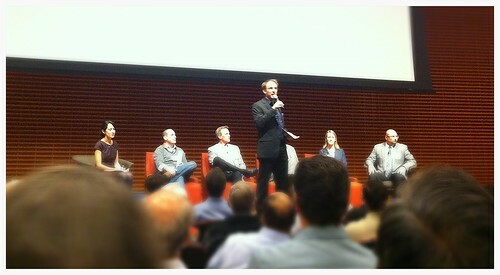 The event took place on the Stanford Graduate School of Business School, in the expansive Cemex Auditorium. It brought together over 400 educators, entrepreneurs, developers, investors, students, and those simply interested in learning about the topic—and, as you might suspect there was a broad spectrum of familiarity with the topic. This talk was a perfect opportunity to seek depth by gaining introduction to key concepts, topics, questions, and challenges in the edtech space. Instead of providing a summary—this post outlines a few recommendations, factoids, and topics imparted. Some schools don’t have the necessary technology to implement it. Some teachers don’t want to be held accountable for its implementation. Some question its adoption saying that teachers weren’t part of designing it. Conservatives say its a liberal conspiracy. She also articulately noted that the merits of Common Core as a concept were not necessarily the focus of the panel discussion. But hearing them helped add depth and color to the conversation. 3. 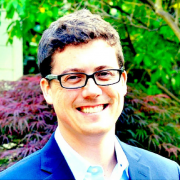 How will Common Core Impact Edtech? This book by Salman Khan, founder of Khan Academy, was mentioned a few times throughout the evening. It was brought up in the context of Benjamin Bloom (see below for more on Bloom’s Taxonomy) and the effectiveness of “mastery learning”. Washington Times did a review of Khan’s book last year, here. The New York City Department of Education dedicates a page of their website to formative assessment strategies, and this is a topic that a number of edtech startups (including panel startups MasteryConnect and Illuminate Education) are focusing on. 6. What do Large Education Companies like Pearson look for in edtech startups? Is the leader stable, driven? Has the startup addressed monetization? Wikipedia: Bloom’s Taxonomy is a classification of learning objectives within education. 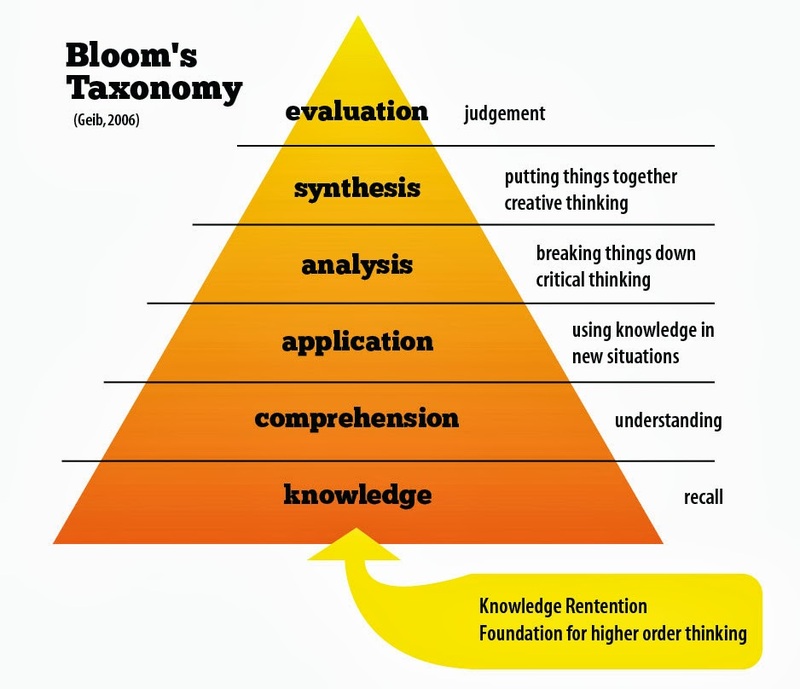 NWLink.com: Bloom’s Taxonomy was created in 1956 under the leadership of educational psychologist Dr Benjamin Bloom in order to promote higher forms of thinking in education, such as analyzing and evaluating, rather than just remembering facts (rote learning). Literacy is a deceptive statistic in America. As we covered earlier, though the U.S. appears to top the charts in literacy rates globally—the numbers don’t account for low literacy. This is a topic ripe for social innovation. The need for new ways to address literacy was not lost on the founders of the mobile app Knowji, Emmie and Nick Thomas. They began researching literacy in America and learned the stark statistics of effects of non-literacy and low literacy from the Digest of Education Statistics and National Institute for Literacy, and were not just alarmed—they were moved to action. Emmie and Nick have taken an active role as social entrepreneurs to develop a comprehensive, gamified app that gives users multiple ways to learn new words. Illustrations give a visual cue, recorded audio provides another way to learn, and new words are provided with context, synonyms and “collocations” (i.e. examples of common phrases that utilize the word. )But this app is not like reading a dictionary—users are introduced to characters and led through various games and exercises to test their knowledge. It is a way not only to learn basic words but to continue expanding vocabulary with advanced words. Innov8Social had a chance to sit down with Emmie Thomas, one of Knowji’s co-founders to learn about the app she helped create and the inspiration behind Knowji.You can check out the multiple Knowji offerings in Apple’s mobile App Store and try out the free trial version which has samples of the other offerings. Emmie is passionate about literacy, in part because as a first-generation American, she has lived its reality. After her family’s move to the U.S. she saw and experienced the challenges of building her own vocabulary, comprehension, and literacy. Her efforts paid off and she completed her undergraduate education at NYU in Business and Finance. 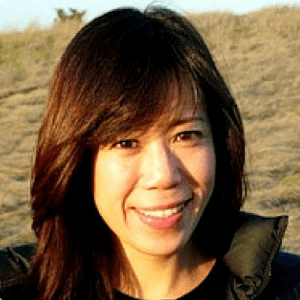 She pursued a career in asset management, technology development, mobile sales, and business development for nearly two decades before setting her sights on something much closer to heart and central to her identity. After hearing a commencement speech by Bill Gates in July 7, 2007 calling graduates to take action to address some of the world’s most pressing issues, Emmie began researching resources for developing and furthering literacy in English. She found existing tools to be linear and, on the whole, outdated. With emerging technology such as smartphone apps and tablets, she felt like there were better, more-tactile ways to learn and to teach. Emmie, and her husband Nick Thomas–Knowji co-founder and CTO– set out to pursue a big idea. They wanted to make literacy learning fun, educational, and comprehensive through a series of apps that engaged users by introducing compelling characters, establishing storylines, and using data-driven techniques to achieve true learning. When we sat down to discuss the interview questions, Emmie introduced an interesting concept.She mentioned that through her research she had found literacy to be a spectrum rather than a checkbox. Though we feel compelled to adhere to statistics that gauge literacy as percentage points, in reality, she noted that there are levels and grades of literacy. People might pass the basic definition of literacy but may actually be competently illiterate—they may be able to read and write, but have a minimal level of comprehension so as not to be able to read and understand a set of directions, a contract, or a newspaper article. Emmie observed that these individuals often fall through the cracks of the education system and may never have access to tools and learning techniques increase and expand their comprehension to a functional level. Q1 | Innov8Social: What drew you to create education and literacy apps? Sure, I would like to begin by establishing what most people perceive when they think of the word “literacy” or “illiteracy”. We think of someone who cannot read or write at all, someone poorly educated. If we think of literacy in that context, the percentage of Americans who suffer from this is relatively small. However, if you include those who can read and write English in America but perform at the lowest level of literacy skills, approximately one in four American adults are functionally illiterate. Their literacy level is too low to perform basic functions in the workplace like paying bills, understanding legal and financial documents and using technology. The effect this has on those people and society as a whole is staggering, and we feel that there is a real opportunity to make a difference. To date, we have published a set of 12 Apple iOS apps to help move people beyond functional illiteracy and all the way to advanced literacy such as teaching words for the SAT and GRE. Now we’re in the process of building more content for future apps. In particular, we are developing content to help people, specifically ESL/ELL people who are below functional illiteracy level in English. Q2 | Innov8Social: Tell us a little about how Knowji started and its mission? It was really a confluence of two events that gave birth to the idea of Knowji. Firstly, I was considering going to grad school at the time and found myself struggling to build my vocabulary for the GRE exam. I had thousands of words to learn and I was struggling to remember them all, and I found myself unnecessarily wasting a lot of time and effort in studying. At the same time, I was at an inflection point in my life where I felt a strong need to find work that was meaningful and fulfilling. This led me to explore and research different ideas, and out of that I found those ideas around education were the most compelling and fulfilling to me. I think the reason for this is because my family value education so highly. Education is the ticket to opportunity, to freedom, and it’s a great equalizer. My parents came to America specifically so their children would have the opportunity to go to college. So the combination of these two events led me to the idea of starting a company that could work on problems in education. The reason we honed in on verbal development is because of the struggles I personally experienced and witnessed growing up in New York City. These are problems people often live with all their lives. However, with the right learning tools, these are problems that can easily be addressed. That’s the opportunity we’re excited about. I know since I started using Knowji myself, I have found myself to be a better communicator and writer. In today’s online and social world, having the ability to communicate well is crucial to success. Our mission is to leverage technology and innovative content to bring affordable high quality education to anyone, anytime, anywhere. Q3 | Innov8Social: What drew you to create education apps? Q4 | Innov8Social: Where do you think the greatest opportunities are for the meeting place of technology + education? This is a great question. We see four opportunities: Self-paced learning, adaptive and customized learning, distance learning, and mobile learning. a) Self paced learning. Today technology can empower people to learn at their own pace. We see this in the results from people using our apps. Some of our users take two to three times longer to learn a word than others. In a traditional classroom, all students at the same age are under pressure to learn at the same pace. What if instead learning was self-paced? Students could self study while teachers are freed up to spend their time helping students through difficult problems. b) Adaptive Learning. This is an area of opportunity that takes learning to a whole new level. Computers can aid in learning in ways that are humanly impossible to do. For instance, a computer can perform complex mathematical algorithms that generate a personalized curriculum tailored to the exact needs of each student. It can track an unlimited number of answers and behaviors from each student year after year, and at any time crunch all that data instantaneously to figure out the best lesson at that precise moment for a student’s learning style or ability. So a computer can perform tasks in scope and dimension that are humanly impossible, and therefore in the domain of education, become an amazingly powerful personal tutor in a way that was never before possible. I should add, we don’t for a moment imagine this usurping teachers in the classroom, but we certainly see it as an incredibly powerful tool to augment classroom teaching, and further empower students. Our apps are a version of this personalized adaptive learning, though on a smaller scale. Based on a student’s interactions, our app presents words that the student is struggling with more frequently than other words. The app also calculates an optimal time when the student should drill each word so as to maximize their memory retention of the words. We’ve really just begun in terms of the complexity of our adaptive learning algorithm. Yet despite that, our apps are already helping people learn and remember hundreds of words in just a few weeks. c) Distance Learning. Teachers and professors are no longer required to be physically located in the same classroom as their students. High quality education is now available to millions if not billions of people across the globe – either for free or at a substantially reduced rate. We’re already seeing this with companies like Khan Academy, Uadacity, and universities like MIT and Stanford that are spearheading this change. d) Mobile Learning. With a mobile device, anyone can learn any time and anywhere. This is a very exciting opportunity when you consider that one in five adults on the planet cannot read or write. That’s 1.5 billion people. What if we could equip every child with a mobile device like an iPod Touch or an iPad that doesn’t require a persistent Internet connection? They could receive education even if they have to work to support their family. Studying a few minutes every day could empower a child to become literate, and who knows, that could open up for them the possibility one day of college. Q5 | Innov8Social: What trends in education technology excite you? If I had to pick one, I would pick mobile learning. However, I think the fusion of trends I mentioned is what makes it an extremely exciting time to be working in this area. Q5 | Innov8Social: What advice do you have for other social entrepreneurs starting out in the education technology sector? Always pick a problem/solution space that you are already intimately familiar with. I think it is really hard building something great if you don’t intimately understand the problems of your users or customers. Have someone on the team who knows how to market and network in your target market. So for instance, selling to K12 schools has been a challenge for us because no one on our team had the connection or experience selling into K12 schools. We’ve had to build those connections as we go along. That takes a long time. Finally, be very committed to your cause because this will help you stay on course when the going gets tough. And it will get tough! Q7 | Innov8Social: Social entrepreneurship comes in different flavors. There are non-profits and for-profit companies. Why did you not choose to make Knowji a non-profit entity since it has such a social mission? We thought through this question carefully when we started the company, and our decision ultimately came from a two important principles. First we want to be a self-sustaining organization, one that doesn’t require us to seek donations. Secondly, we aspire to be a company that will one day inspire other companies to do good and do well at the same time. Kalen Gallagher is a social entrepreneur’s social entrepreneur. He doesn’t just resemble what it means to pursue social impact with an entrepreneurial mindset, he pretty much embodies it.Talk to him for a few minutes and you’ll notice that he possesses many of the characteristics of fellow millennials. Easy-going, confident, and ready to take on (and lead) change, Kalen has served his community as far back as he can remember. As a student at Westmont High School in San Jose he was active in community service organizations. Kalen attended UC Davis as an undergraduate and served in student government in the roles of Senator, Vice President, and student body President. He stayed on at his alma mater for law school, graduating from UC Davis Law in 2009. 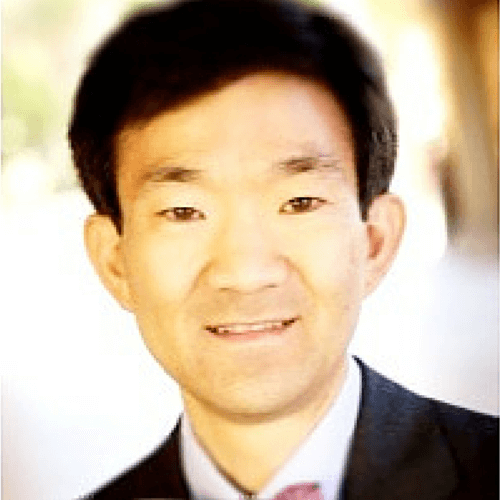 Where passing the California Bar exam often signifies an official entry into the profession, for Kalen it was a turning point at which he decided to steer away from practicing law to focus on education. He took on the role of social studies teacher at a KIPP Heartwood Academy, a public charter school serving East San Jose.Kalen’s path to creating impact and pursuing entrepreneurship led him to join an education technology startup called ClassDojo in 2011. ClassDojo is a tool that helps teachers improve behavior in their classrooms and captures and generates data on behavior that teachers can share with parents and administrators. The Next Web named it one of the top education apps of 2012. For Kalen, the roles of educator, innovator, and leader push him to seek different avenues to create impact. In May 2012 he announced his candidacy for Campbell Union High School District Board of Trustees. An elected position, he would be running against an incumbent and vying for a four-year term. In a close race fueled by grass roots campaigning, social media pushes, and plenty of precinct walks—Kalen won a seat on the Board on election day in November 2012. I have had a chance to get to know Kalen, through one of his passions–New Leaders Council. Kalen and Reeta Sharma, co-founded and co-direct the Silicon Valley chapter of this progressive fellowship program to build skills in leadership and social entrepreneurship…which I participated in as a Fellow in 2012 and continue to be involved in as an member of the Advisory Board. Innov8Social caught up with Kalen to find out about his commitment to social entrepreneurship, and his path in the field. A1 | Kalen Gallagher, Social Entrepreneur and Campbell Union High School District Board Trustee: To me “social entrepreneurship” means using the principles of entrepreneurship to create sustainable, long-term solutions to our society’s biggest problems. While traditional entrepreneurs are primarily focused on earning money, social entrepreneurs seek societal change. Q2 | Innov8Social: What inspired you to run for office? A2 | Kalen: I decided to run for the school board of my old high school district because it has been plagued by numerous issues for years with little discussion at the board level on how we can turn things around. Since well before I walked through the gates in 9th grade our dropout rate has been incredibly high, we’ve had low test scores, the number of our students going to and through college has been small, we’ve had the lowest paid teachers in the Bay Area, and even today we have a disturbing lack of technology available to teachers and students. While the districts around us are thriving, we’ve been held back, which is negatively impacting thousands of our community members every year. I think there’s a lot that bringing my teaching experience, the “startup mentality,” and higher expectations to the board can accomplish. Q3 | Innov8Social: What have you learned about the intersection of start-up entrepreneurship and education technology through ClassDojo? A3 | Kalen: We’re in the middle of a dramatic shift in public education, powered in large part by young teachers. Any teacher 30 or younger (about 30% of all teachers) grew up in a post-AOL world, which means the internet has been ingrained in their daily lives since childhood. These teachers, along with older tech-savvy teachers, are helping change the expectations, and delivery, of public education. This has been coupled with a revolutionary change in purchasing power. Traditionally if education companies wanted to reach teachers, they had to sell to districts, which was a slow, frustrating process. Today the internet and spread of cheap internet connected devices allow education companies to go straight to teachers and skip the middle man. Teachers are also much more in tune with the tools they want and need than a school board or administrator could ever be. Now, hundreds of teachers can be using a tool within a district without the school board having even heard about it. This new distribution strategy is allowing the shift we’re experiencing today. Q4 | Innov8Social: When did you decide to actively turn away from the practice of law to the practice of social entrepreneurship? A4 | Kalen: It might seem ridiculous, but I actually knew I would never practice law when I applied to law school. To me law school represented something very attractive: a 3 year, socially-acceptable vacation that would give me amble time to explore my passions and learn the legal structure of California. I spent the summer after my 1L year in deep-reflection, trying to figure out how I could make the biggest impact possible on the issues I’m passionate about. After all the soul-searching, research, and informational interviews, it was clear to me that if I should devote my life to improving public education. The lack of a quality of public education for all is at the core of most issues that plague the United States today. Four days after taking (and somehow passing) the California Bar, I was in my new classroom at KIPP Heartwood in East San Jose. 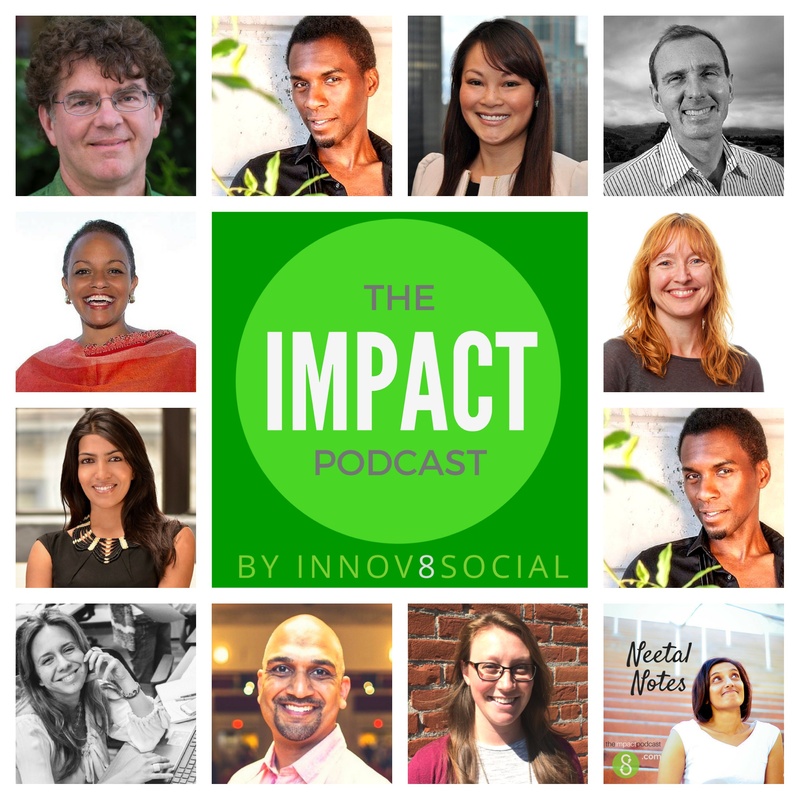 Q5 | Innov8Social: Do you have any tips for those who want to create a career that creates social impact and profit? A5 | Kalen: Genuinely care about the issue you’re trying to solve. Listen to your users. Focus. If you don’t do all three, you will go nowhere.